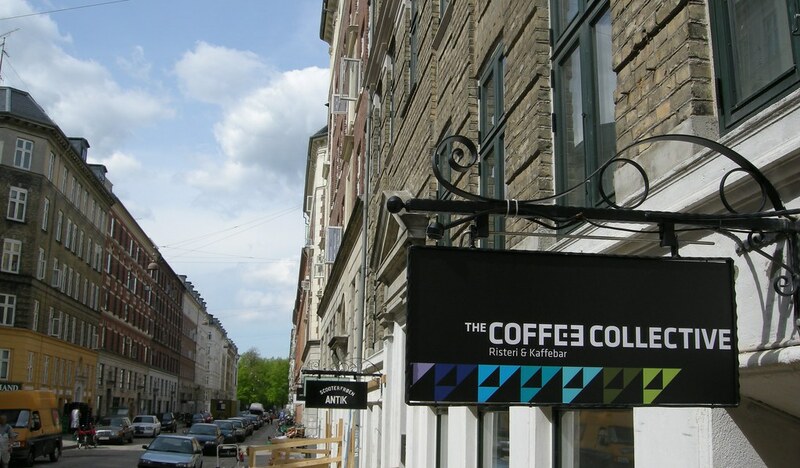 The Coffee Collective Blog: Shakerato Time! Summer time has come to Copenhagen (at least for a short visit). Over 20 degrees C in the shade this week, which is niiiice for us. It gets a little warm in the roastery when we're roasting, but we wouldn't dream of complaining. But it means that our lovely americanos must clear the way for the awesome SHAKERATO! - A favourite drink amongst the collectivists. It's so fresh and prefectly balanced. There's no milk, which is nice since we're close to the beach season ;-) When shaken really well it gets a nice thick foam and if you drink it straight away the mouthfeel is amazing. It brings out a lot of fruitiness in our espresso blend, but this week we've made it with the light roasted Kenya AA Top, the Kariaini, and it's just a bomb of fruit! It's almost like a coffee juice. Ice cubes in shaker - just below half full. Simple Sugar Syrup 20 ml. over the ice. 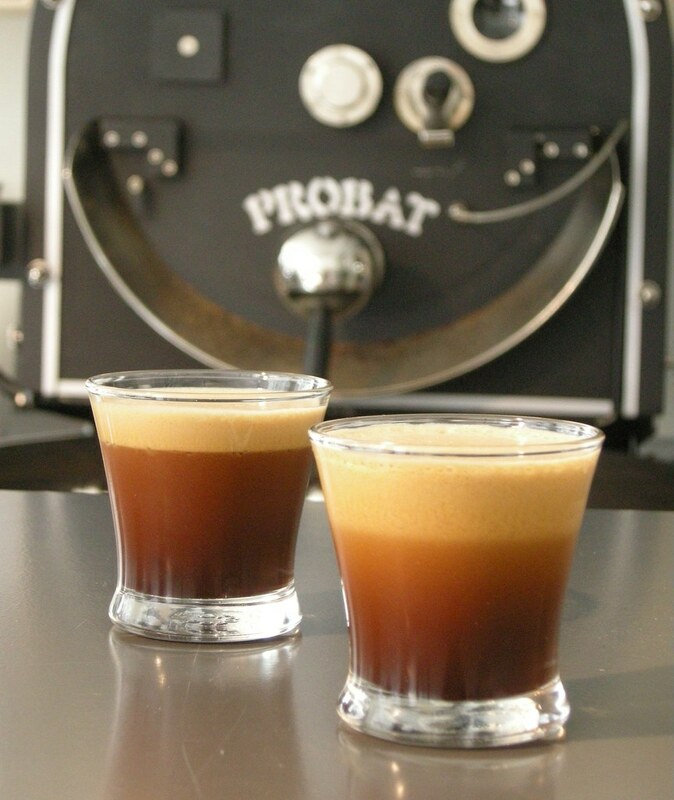 Brew a double espresso (try our light roasted Kariaini, Kenya AA Top!). Pour espresso into the shaker and let just cool for a couple of seconds.. Shake very well! With lots of energy! I've been using your espresso blend and Risteriet's Miscela Bacca, but it sounds even better with a Kenya AA. I'll be sure to try that. On my first Barista Training at the Segafredo head quarters in Brussels ten years ago, they teached me the classic Italian Shakerato. I was never impressed, but nowadays with decent single arabica's we talk about a totaly different ballgame of course. I just finished my new summer menu card and didn't list a nice shakerato on it, but plenty of (sometimes boring) iced frappé blablabla...Something i regret already. I'll launch some as a weekly specialty's on nice summer days/weeks and post you the reactions. Thanks again for the inspiration and meanwhile i got you guys listed on my links list. Thanks for this great simple recipe. We've broke it out at our shop in Southern California and everyone loves it! I've tried our Lo-fi espresso blend, Novo Ethiopia Amaro Gayo, and Novo Sumatra Lake Tawar- all great and different flavors. Our next step is to start playing with infused simple syrups that mimic the flavors in single origin shots, such as Ethiopia Yirgacheffe with lemon grass infused syrup. This could get fun, even invested a shaker today. Pax!